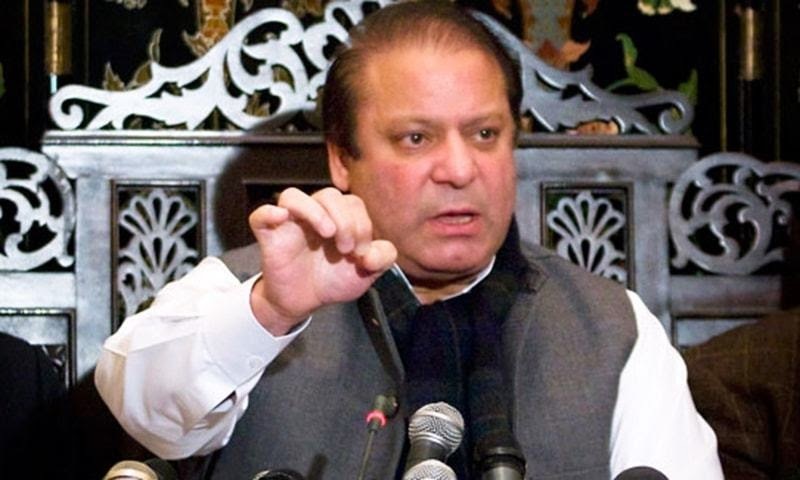 QUETTA: Prime Minister Nawaz Sharif has directed the provincial governments to implement the National Action Plan (NAP) and take stern action against terrorist organizations and proceed speedily on those death penalty cases in which mercy petitions have been rejected. Presiding over a meeting of the Baluchistan Apex Committee, he said religious seminaries and organizations involved in terrorist activities should be identified and proceeded against. No terrorist or militant organization should be spared. The meeting was attended by Army Chief General Raheel Sharif, Baluchistan Governor Mohammad Khan Achakzai, Chief Minister Dr. Abdul Malik Baloch, Defense Minister Khawaja Mohammad Asif, ISI Director General Lt Gen Rizwan Akhtar, federal ministers Khawaja Saad Rafeeq and Jam Mohammad Kamal, Commander Southern Command Lt Gen Nasser Khan Janjua, Senior Minister and PML-N’s Baluchistan President Sardar Sanaullah Zehri, Home Minister Mir Sarfarz Bugti, former prime minister Mir Zafarullah Jamali, Chief Secretary Saifullah Chattha, Home Secretary Mohammad Akbar Durrani, Baluchistan Inspector General Mohammad Amlish Khan and Frontier Corps (Baluchistan) IG Maj Gen Shair Afghan. The prime minister stressed that terrorism must be dealt with sternly and militant and terrorist organizations which were not ready to hold peace talks with the government would have to face action. Referring to the implementation of the action plan in Baluchistan, he said that the federal government and the army would fully support the provincial government in its efforts to get rid of the province of terrorists and extremists. Durable peace in the province is one of the objectives of the plan. Mr. Sharif asked all provincial governments to take steps for capacity building of police and other law-enforcement agencies. “The federal government has been providing funds to all the provinces, including Baluchistan, for the purpose so that their police and law-enforcement agencies could play an effective role in the war against terrorism,” he said. The provincial governments would have to pay special attention to law and order and free law-enforcement forces of political interference. He said the strength of counter-terrorism departments should be increased to enable them to effectively deal with the menace of terrorism. The prime minister said his government and the army were on the same page and working jointly to root out terrorism. “Civil and military leadership and all political parties had been taken on board while formulating the NAP,” he said. Elements out to destroy peace will not be allowed to continue their violent activities. He claimed that efforts by the federal and Baluchistan governments had controlled target killings and attacks on the Hazara community had been reduced. He directed the authorities to provide security and protection to communities facing sectarian violence. The prime minister said the parliament had amended the Army Act to make the National Action Plan more effective. Chief Minister Malik Baloch and Chief Secretary Saifullah Chattha briefed the meeting on measures being taken to implement the action plan in Baluchistan. They said that a number of steps had been taken against militant and terrorist groups under the plan. He further said that about 80,000 unverified mobile phone Sims have been blocked over the past few days.